The breakfast are serve with healthy food and the location of the property are good which quite, suitable for trip. Very modern, lots of generous extras, great value. Extra touches such as the bottle of wine. Lovely location. The design of the cottages are excellent and in a great location, only walking distance from the beach. The cottages are also accessed by the local wildlife and the provided breakfast are great to soak it all in. Beautiful and cosy studio apartment located in the heart of Adventure Bay, close to all the key spots on that side of the island. Actually, we do like everything in 43 Degree.it is a very relaxing cozy accommodation, in which the design of the little hut has perfectly merged with the natural environment. We like the spa, the breakfast and the wallabies around most. 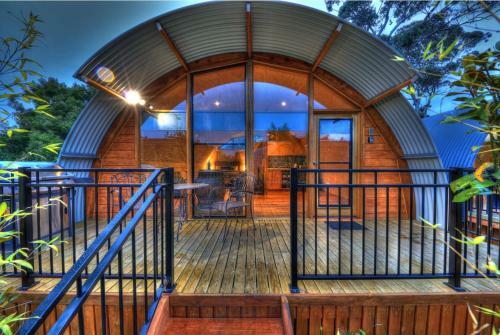 It is definitely a worth place to stay if you visit Bruny Island. BBQ is also provided though we did not try it. The location was very convenient with the apartments set in most attractive, landscaped grounds. The decor and whole set-up was different from the usual motel or similar accommodation and made for an enjoyable stay. It was very comfortable though I would recommend better lighting in the kitchen area. Breakfast is discretely supplied to the room. 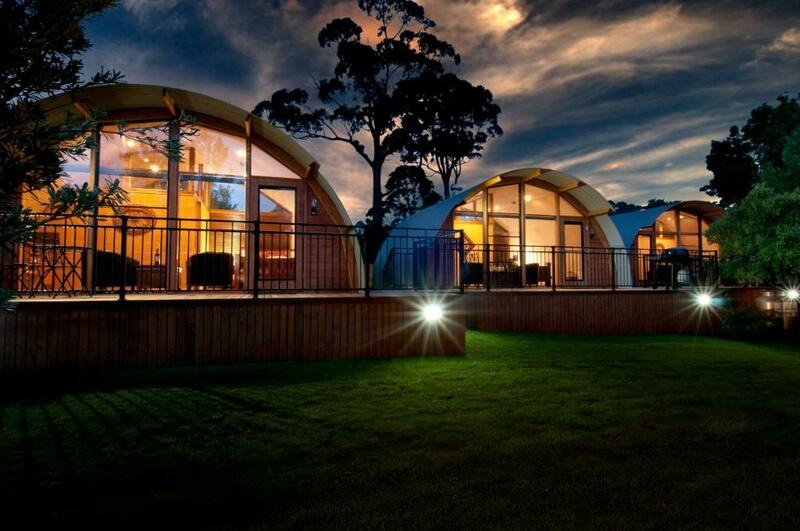 Lock in a great price for 43 Degrees Bruny Island – rated 9.6 by recent guests! 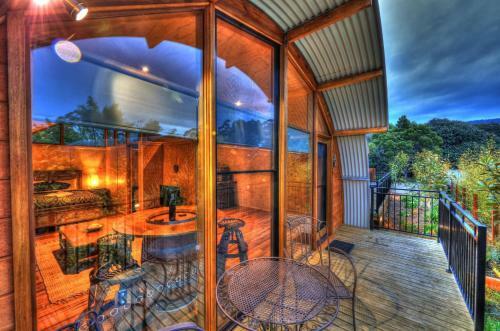 Providing garden views, 43 Degrees Bruny Island in Adventure Bay has accommodations and barbecue facilities. The accommodations are air-conditioned and features a spa bath. The apartment provides guests with a terrace, a seating area, a flat-screen TV, a fully equipped kitchenette with a microwave, and a private bathroom with hot tub and free toiletries. A toaster and electric tea pot are also offered. 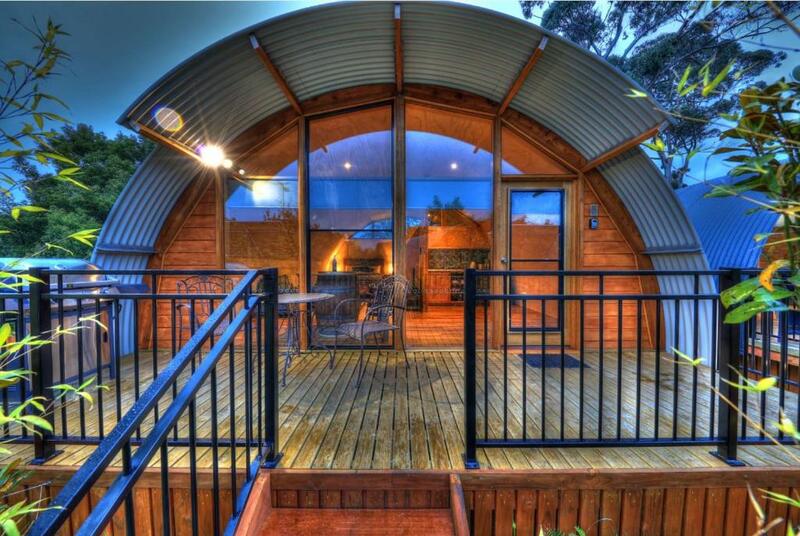 When would you like to stay at 43 Degrees Bruny Island? This apartment has a balcony, spa bath and microwave. House Rules 43 Degrees Bruny Island takes special requests – add in the next step! 43 Degrees Bruny Island accepts these cards and reserves the right to temporarily hold an amount prior to arrival. Unfortunately there aren't many local shops and on the island they all close at 5pm. So it would be recommended to pack food especially for dinner as there isn't much available nearby. The bathroom was very cold because there was no heating in it. There was a little incident that I had entered my hometown phone number during reservation so I could not receive any check-in instructions from them. Thought that I would see a reception when I arrived, but just couldn't find any. Lucky that we just bumped into the owner of the accommodation to help check us into our room. Yet, without very clear instructions (as we did not receive it when using local sim card), and especially everything was so rush during arrival, we did not even know what to do during check-out, that has also led to a little incident. Luckily, the problem is solved now. One recommendation: if you know your Australia SIM card number before arrival, you can put it down for them as a record. Or else, (guess most of the foreign guests will only get their SIM card number at their arrival) you would better send them a message telling them your local number in order to receive SMS. Or...it will be even better if the host can send both SMS and internal messages through booking.com system or even through email to let guests know about the instructions slightly earlier whenever they can access wifi. As I have said above the kitchen lighting could be better. Everything else seemed very good. We liked everything! The personal touches really make this accommodation stand out. Everything you need for a short stay is supplied and the Island has lots to see- we will be back! We prepared a meal there because it said there was a kitchenette but I was juggling boards and appliances due to the tiny space and in the end felt it would have been better to either eat out or bring a takeaway meal. There was no where to put toiletries and both struggled with the shower only being just over a metre high but the nozzle was removeable. A gorgeous room but lacked functionality. The breakfast was very fresh and lovely. The bed was excellent and the spa bath great. Lots of privacy. there are no gas left for BBQ. we had to trouble our neighbor. Location was great. Breakfast was awesome!